Have you considered reusing, repurposing or incorporating existing elements and construction materials into your new landscape design. Protect your resources, It is worth doing earthworks if you do it right. Correct retaining and landscaping will ensure your new site doesn’t wash away. Consider your budget. The purpose for your landscaping project, its size, its design, and the material used to make it all will have an impact on how much it will cost. 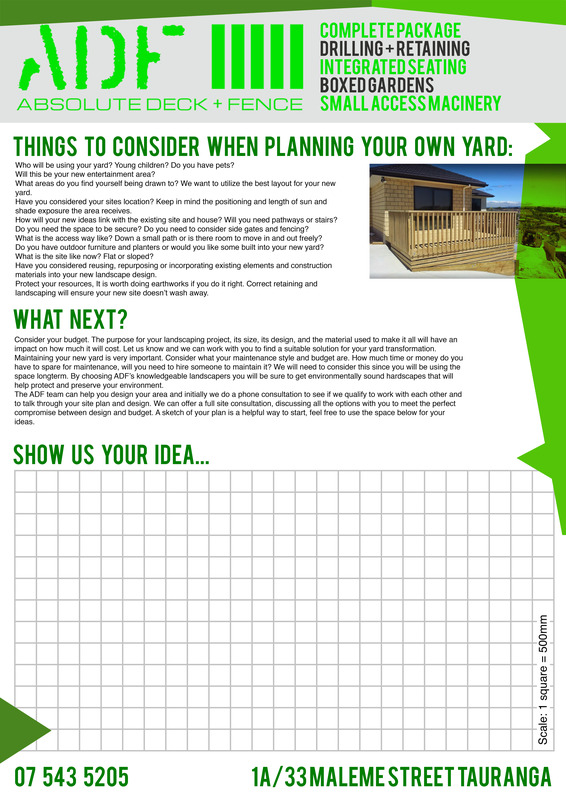 Let us know and we can work with you to find a suitable solution for your yard transformation. Maintaining your new yard is very important. Consider what your maintenance style and budget are. How much time or money do you have to spare for maintenance, will you need to hire someone to maintain it? We will need to consider this since you will be using the space long term. By choosing ADF’s knowledgeable landscapers you will be sure to get environmentally sound hardscapes that will help protect and preserve your environment. Who will be using your yard? Young children? Do you have pets? Will this be your new entertainment area? What areas do you find yourself being drawn to? We want to utilize the best layout for your new yard. Have you considered your sites location? Keep in mind the positioning and length of sun and shade exposure the area receives. 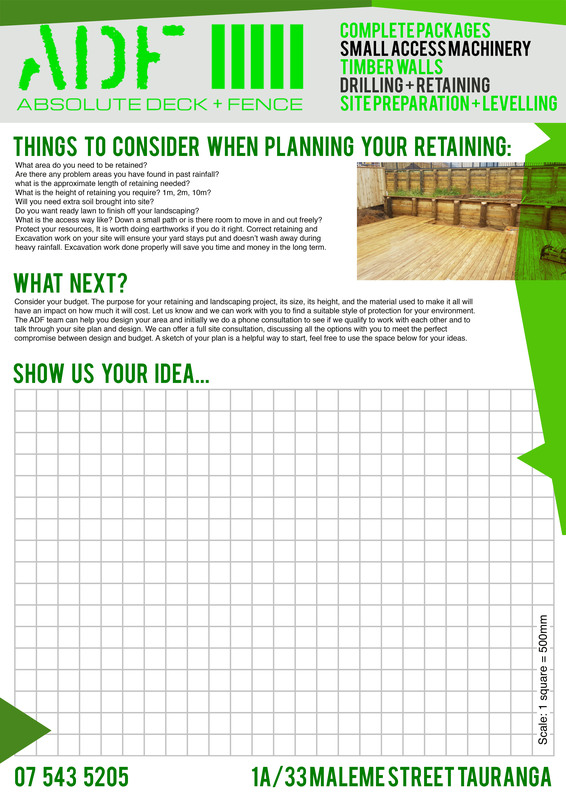 How will your new ideas link with the existing site and house? Will you need pathways or stairs? Do you need the space to be secure? Do you need to consider side gates and fencing? Do you have outdoor furniture and planters or would you like some built into your new yard? What is the site like now? Flat or sloped? Pile and Post hole drilling. 200Ømm, 300Ømm, 350Ømm and 500Ømm. We are happy to take care of one or all parts of your garden project – from the design and concept stages of your landscaping, to planning, construction, and long term maintenance and care. Take a look below at some of our recent projects. At ADF, we can help you with the complete landscaping package. Right from the base up we can assist you with small scale earthmoving and levelling of your site, retaining and drilling the pile holes, all the way through to the soft landscaping planter boxes, built in seating and ready lawn.